Effectively neutralises underarm odour and absorbs moisture with this aluminium free natural deodorant. Unscented. 16 hours protection. Vegan. Australian made. 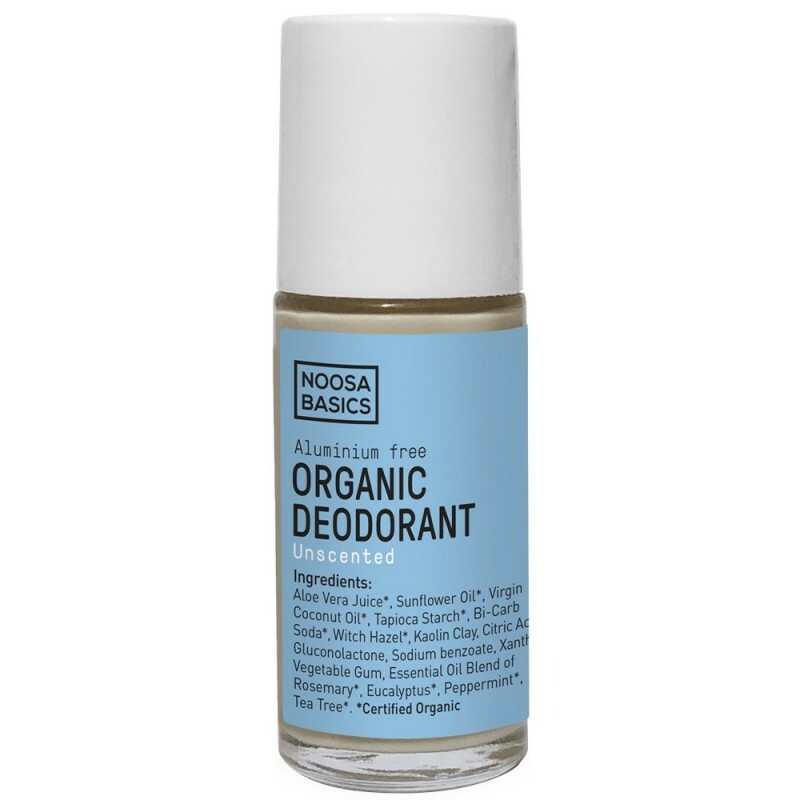 Organic Tapioca and Australian Kaolin Clay absorbs moisture while still allowing you to sweat and release toxins. Baking soda instantly kills the bacteria that causes odour on skin. Shea butter nourishes your skin and Organic Coconut oil is well known for its antibacterial properties. Aloe Vera juice*, Sunflower oil*, Virgin Coconut oil*, Tapioca Starch*, Bi-Carb Soda*, Witch Hazel*, Kaolin Clay, Citric acid, Gluconolactone, Sodium benzoate, Xanthan Vegetable gum, Essential oil blend of Rosemary*, Eucalyptus*, Peppermint*, Tea tree*. 50ml (1.7oz). 11cm x 3.5cm. Gently apply a small amount under each arm and allow to dry before dressing. Discontinue use if rash or redness occurs. Do not apply on irritated skin as it contains organic harvested baking soda and can be abrasive if over applied. Canister is made of glass. Please note that borosilicate glass is NOT recyclable so ask your local Council for proper recycling instructions.